Barrington and surrounding communities are under a Winter Weather Advisory from 5 p.m. Saturday through 6 a.m. Saturday. As much as five inches of snow is in the National Weather Service forecast. In preparation for the storm, PSE&G has issued a release noting it is preparing for potential widespread power outages around the state. Downed power lines and outages should be reported to the utility’s automated hotline at 1-800-436-PSEG. Borough ordinance requires that all homeowners and business owners remove snow and ice from the public sidewalks bordering there properties within 12 hours of daylight after snow and ice have formed. Vehicles should be parked off the street, if possible, to allow for plowing. Vehicles on snow emergency routes may be towed to allow for snow removal. 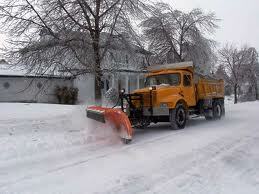 The borough’s Department of Public Works can be reached at (856) 547-2486. 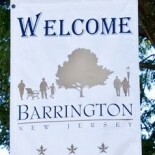 This entry was posted on February 8, 2013 by Barrington Bulletin in Region, Safety and tagged snow.